"Bowie was the ultimate casting director. That's a tough job to live up to," said Garson. David Bowie may have left earth's atmosphere in January of 2016, but his music, style and philosophies will never be forgotten. 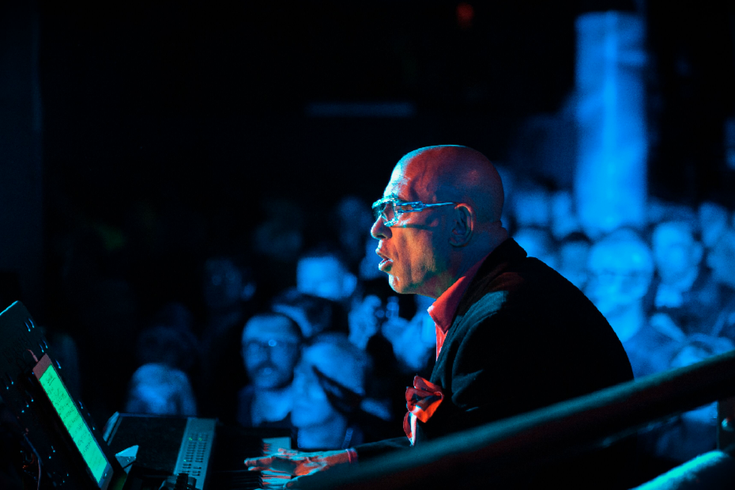 Hot on the heels of locally curated "Philly Loves Bowie Week" comes two separate events this weekend: "The Howard Stern Tribute to David Bowie" special premiering Feb. 9 on SiriusXM's Howard 101 channel, and pianist Mike Garson's "Celebrating David Bowie" at the Keswick Theatre Feb. 11. The "Stern Tribute" features 25 fellow Bowie lovers such as Low Cut Connie and Bleachers, as well as old friends – Philly's Todd Rundgren and Daryl Hall. "I respected David and knew him for many years," said Hall, who chose one of Bowie's biggest hits from "Young Americans" to cover for Stern. "The reason why I recorded 'Fame' is because Howard asked me and I think it's the funkiest song David's ever made. I also relate to the lyrics." Where "Celebrating David Bowie" is concerned, things run even deeper with Garson at its helm. Bowie's longest collaborator began playing with the Thin White Duke during his 1972 "Ziggy Stardust" tour, and continued on for studio albums such as "Aladdin Sane," "Pin Ups," "Diamond Dogs" and "Young Americans" in the 70s; "Black Tie White Noise," "Outside," and "Earthling" in the 90s; and "Heathen," "Reality" and "The Next Day" in the 2000s. "I played with 13 different Bowie bands," said Garson. "I was hired for eight weeks and just overstayed that first gig. Why? Because I could play anything. The Spiders of Mars were great but could not have played soul, for example. David was a real casting director and he knew I could play classical, blues, jazz, fusion, pop and R&B. Anything I could do well landed on an album: stride piano, barrelhouse stuff from the 20s, or my love of Sergei Rachmaninoff, Cecil Taylor and McCoy Tyner." Garson's "Celebrating" showcase has been a revolving door of fellow musicians from varying parts of Bowie's career. "I always want as many alumni as I can get on stage at any one time," said the pianist. While guitarists Earl Slick and Gerry Leonard and bassist Carmine Rojas are part of the current ensemble, stalwarts such as Sterling Campbell, Adrian Belew and Philly's Gail Ann Dorsey are absent due to other touring commitments. Then there are the surprise guest vocalists who front the band, singing Bowie's classics such as Sting, Simon LeBon and "Westworld" actress Evan Rachel Wood. Philly's show will feature guest vocalists Corey Glover from Living Colour and Sting's son, Joe Sumner. During a rehearsal break, Garson claims that his current gig as bandleader fell to him as he's been a Bowie sideman for a long time, and teases that several of the old Bowie players "have to re-learn the material," no matter how many times they've played the hits. "Even though we've had several iterations of this band, we're so self-contained, we'll even have Earl Slick's son sitting in on drums. It's very much a tight-knit family," he said. When asked how he keeps all of his Bowie team players separate but equal, the pianist and bandleader makes a comparison to curing a deadly illness. "Competition is worse. Cooperation is best," he said. If the players are a nuclear family, the guests who show up to sing are akin to visiting uncles and aunts. "Bowie was the ultimate casting director. That's a tough job to live up to," said the pianist. "He also knew what player or producer would sound best on each track." With that, Garson's goal is to create a brand of magic that never allows the audience to forget who they are there to hear. "Can anyone replace David Bowie? No. That's why we have so many singers, all who have their own true voice, inside and out," says the pianist. "When Sting did 'Lazarus' or Seal did 'Bring Me the Disco King,' they gave you a piece of who they were as well as why they loved David. They were amazing. I'm anxious for Philly to hear Bernard Fowler do 'Can You Hear Me.' We haven't done that tune since 1974. Between hits and songs, we have never done before such as "Lady Grinning Soul," and the old players or the new energy of players such as Earl's son, it's all done in the name of David, you know?" "Celebrating David Bowie" appears Sunday, Feb. 11 at the Keswick Theatre, 291 N. Keswick Ave., Glenside. Tickets are $39.50-$59.50. Show time is 8 p.m.